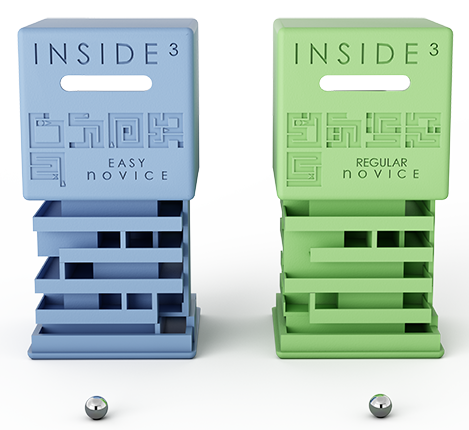 The INSIDE3 is a devious 3D maze that players must solve in the dark. Once the metal ball bearing is freed from its starting position, players must use the maps printed on the 2-inch box and their spacial reasoning skills to navigate the ball to the other side of the cube. Each case pack comes with four of 3 different styles (Easy, Medium and Mean), and a display box. The outer cube shows the starting position of the metal ball on the front side, and the ending position on the back side. It also shows a map of each layer to help guide you through the maze. A small bump in the maze holds the metal ball in the starting position until the puzzle is ready to be played. 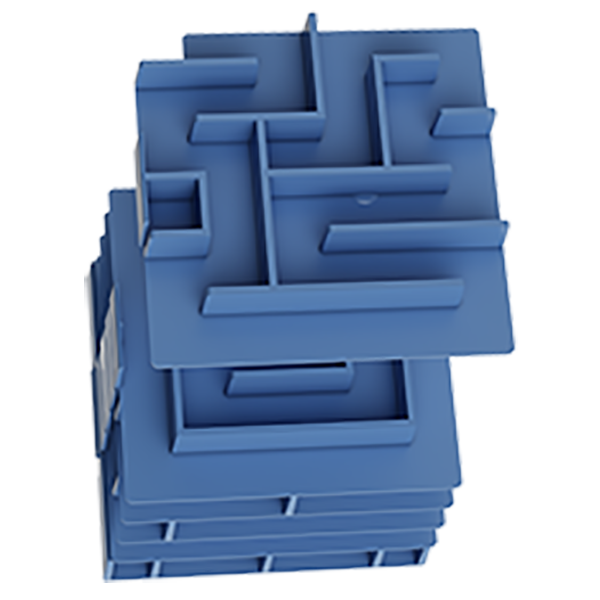 To get it going, use a pen or paperclip to push the ball into the maze. 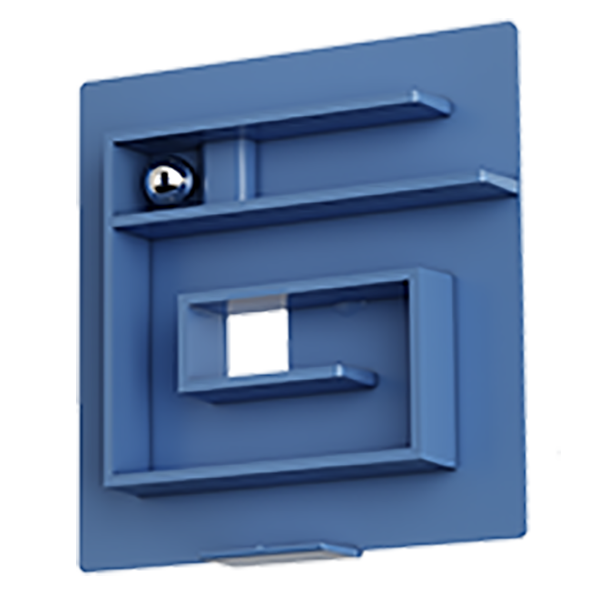 Each puzzle contains 5 layers through which the player must guide the metal ball until it appears in the window on the other side. The outer case pops open in case the puzzle needs to be re-set.